In a show of support, Russian President Vladimir Putin has sent a letter of condolence to UK Prime Minister Theresa May, according to a statement published on the president’s website. “This crime shocks [us] with its cruelty and cynicism,” Putin said, adding that the world should join efforts in the fight against global terrorism. The president also expressed his condolences to the families of the victims and wished a speedy recovery to all those injured in the attack. Putin’s French counterpart, Emmanuel Macron, reiterated his country’s commitment to its long-standing ally. “In the face of this new tragedy, France is more than ever at Britain’s side. My thoughts go out to the victims and their loved ones,” he wrote on Twitter. At least four French citizens were injured in the attack, Jean-Yves Le Drian, minister of Europe and foreign affairs, later said in a statement, as cited by FranceInfo. German Chancellor Angela Merkel said that she learned about the attacks with “grief and dismay,” her spokesman, Steffen Seibert, tweeted. “Today, we are united across all borders in horror and sadness, but equally in determination. I stress for Germany: in the fight against all forms of terrorism, we stand firmly and decisively at Britain’s side,” Merkel said. 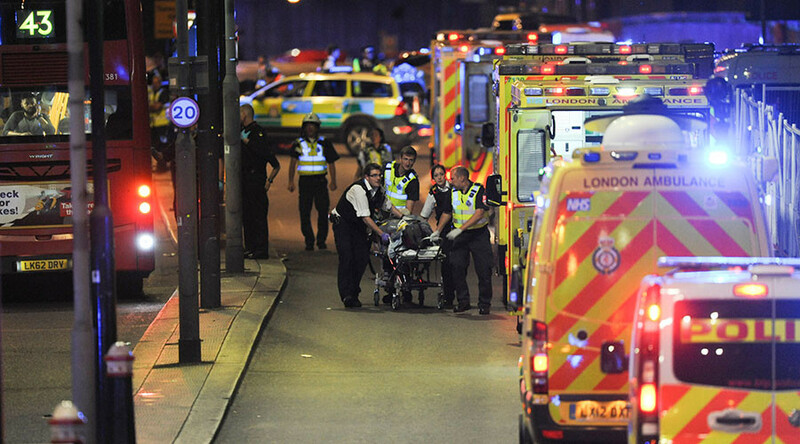 “After a dreadful night in London: all our thoughts are with our British friends and this wonderful, brave city,” German Foreign Minister Sigmar Gabriel said. Belgian Prime Minister Charles Michel also took to Twitter to show support for people in the UK. “A new tragedy in London, we all stand with UK,” he wrote. Italian Prime Minister Paolo Gentiloni called for a uniting of efforts in the fight against terrorism. “London is once again under attack. Solidarity with the British Government and [let’s] joint efforts against terrorism,” he wrote. 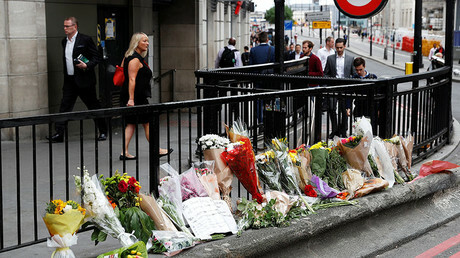 Spanish Prime Minister Mariano Rajoy said he is following the information about London attack “with sadness,” also expressing his solidarity with the families of the victims in the assaults. “Our solidarity and support to the authorities and to the British people,” he wrote. US President Donald Trump and Vice President Mike Pence also expressed condemnation of the assaults in Twitter posts. The prime minister of Canada also expressed his condolences, noting that he is monitoring the situation. Australian authorities, including Prime Minister Malcolm Turnbull and Foreign Minister Julie Bishop, said they have been briefed on the attack and stand firmly with the British people. Turnbull later confirmed that two Australian citizens were affected by the tragedy, without providing details. “Shocking and anguishing,” is how the Indian prime minister described the attack. “Escalation of indiscriminate and chain terror attacks around the world is a warning sign for the international community,” Iranian Foreign Ministry spokesman Bahram Ghasemi said, condemning the attack.